Golden Gate Bridge framed by a window on a tour bus headed to Sausalito! Often times when we’re out and about we are presented with opportunities to capture a great photo based on where we are, what’s going on, the environment, and a host of other elements. To make sure you are always ready to capture those moments following these five simple rules will help you seal those moments. Always Have Your Camera – You can’t capture the moment if you don’t have your camera in tow. So get in the habit of keeping your camera with you. Make sure the batteries are charged, memory disks have space, and all your other associated equipment is ready to roll. If you don’t have your camera, then don’t forget about your phone!!! It can and will come in handy. Think Out-Of-The-Box – Sometimes, especially when you are in a crowded area like in the picture above you have to use the elements of the crowd and the environment to help manufacture the photo. The picture of the Golden Gate Bridge was taken from a crowded tour bus. 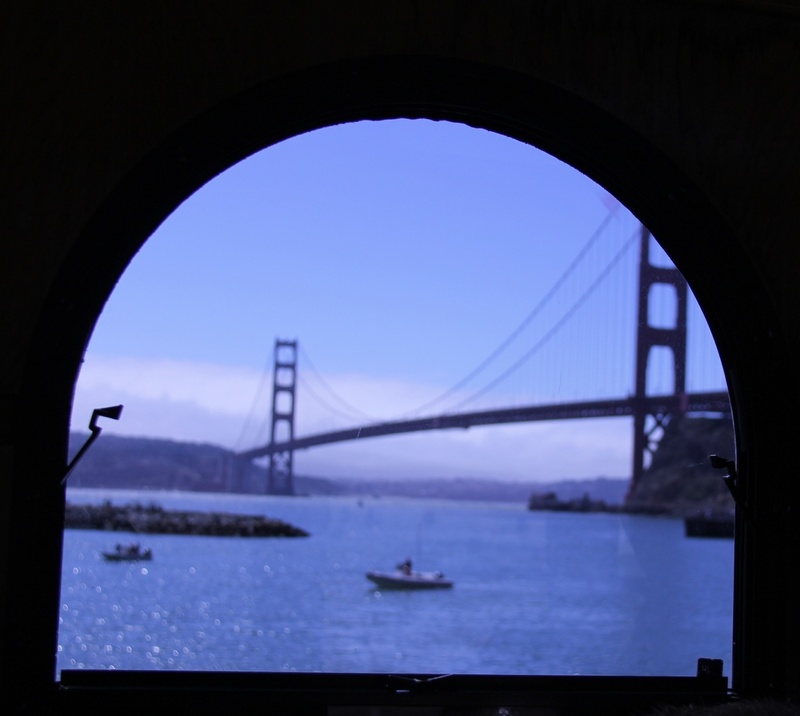 The window frame of the tour bus provides a perfect vignette effect by framing the bridge, water, boats etc. More importantly, it also boxes out the other passengers on the bus to allow for the “perfect” photo given the surroundings. Be Nice & Be Patient – The Bridge Photo came about because before boarding the tour bus we asked the other passengers if we could help take photos of them so they all could be in their group shot. By being “nice” once we were on tour bus those patrons happily leaned out of my view to allow me to capture the moment! The patience is not necessarily waiting for the right time and moment but keeping cool and allowing the moment to happen. Step Away & Out – Look at the same things everyone else is looking at but by stepping slightly away and out helps carve out the space and that creativity lane needed to capture the moment. Stay Ready & Always Be Selling – In the words of Alec Baldwin’s character, Blake, from Glengarry Glen Ross, “Always Be Closing”! Always be thinking about the shot and nailing it on a moments notice. Thinking about and being prepared will increase your chances in capitilzing on the luck you make!